If you're searching for a new garage door model, or need to have an opener related problem fixed quickly and effectively, we're the team for you. Here are some of the latest projects our technicians completed. 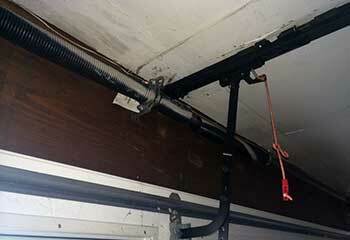 Customer Issue: The customer’s garage door listed badly to one side, refusing to open fully, and made scary noises. Our Solution: After testing the opener and examining the hardware parts, it didn’t take our team long to find the break in the left extension spring. One spring replacement operation later, the customer had a new pair of fresh extension springs on his newly cleaned, scraped, and oiled cables, and his door was back to normal. 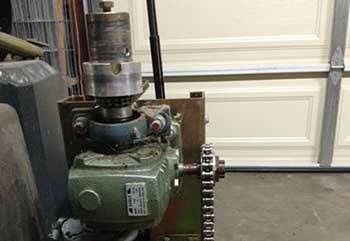 Customer Issue: The garage door opener was making a lot of noise and moving slowly. Our Solution: After making sure the problem didn't involve the external parts of the drive system, and lubricating and adjusting the chain, we removed the unit's casing and checked on the motor. The main gear was slightly broken, which explained both the noise and the slowness. We replaced it immediately and then saw to it that there were not additional issues with the unit. Customer Issue: Spring broke when the customer tried opening the door. 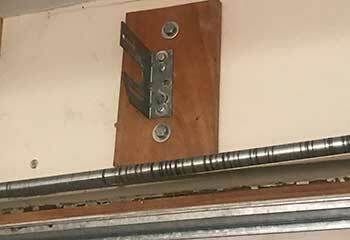 Our Solution: The scenario wasn't unfamiliar to us, as this type of problem is one of the most common ones garage door owners can experience. We quickly detached what was left of the damaged unit and then fitted a new torsion spring onto the shaft and wound it until it was able to balance the door correctly. 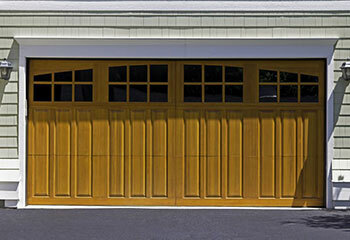 Customer Issue: The customer was interested in a garage door with excellent insulation capabilities. Our Solution: The main reason this customer wanted to have a new door installed – apart from the fact the old one was in bad shape – was to add some insulation capabilities to his garage, and therefore to her house as well. We suggested a few different models, and after some deliberation the customer decided to get a Raynor garage door from the Aspen™ Series, which boasted steel-reinforced polystyrene panels with a faux-wood finish and remarkable thermal efficiency thanks to the company's WeatherLock™ section joint feature. We performed the installation a few days later (at the customer's request) and made sure his garage was in fact properly insulated afterwards.